Our members know we are constantly refreshing our platform to better support them. In an effort to keep you organized, we’ve updated the calendar on your dashboard. You’ll notice that your calendar now will show BoardOnTrack events side by side with your board scheduled events. We host live, online and on-demand training events geared for educating and supporting our members to achieve a five-star status. While you can always see what upcoming events we have planned on the Events section of our site, this update makes it even easier for members to register and attend these opprtunities. 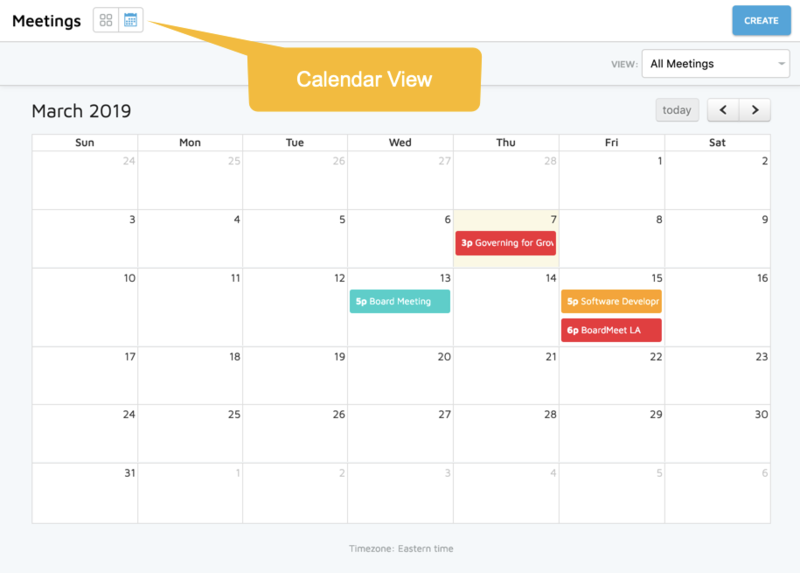 Among the helpful features are calendar icons as well as the meeting name are both clickable and will bring the user to the details page with all the info you need, right at your fingertips. The cards now all have an indicator in the upper right corner to indicate what kind of meeting it is. This will make it much easier to scan the list of cards to find the meeting you are looking for. The cards that represent meetings / events in the future are shown in white as before, but those that are in the past are ‘greyed’ a bit. Another aspect that makes your life simpler: the meeting date and time is shown by default in your board’s timezone. If the event listed takes place in a different timezone, it’ll be sure to clarify for you, keeping you on top of the details before you need to think about them. Or log in to BoardOnTrack now to start exploring. 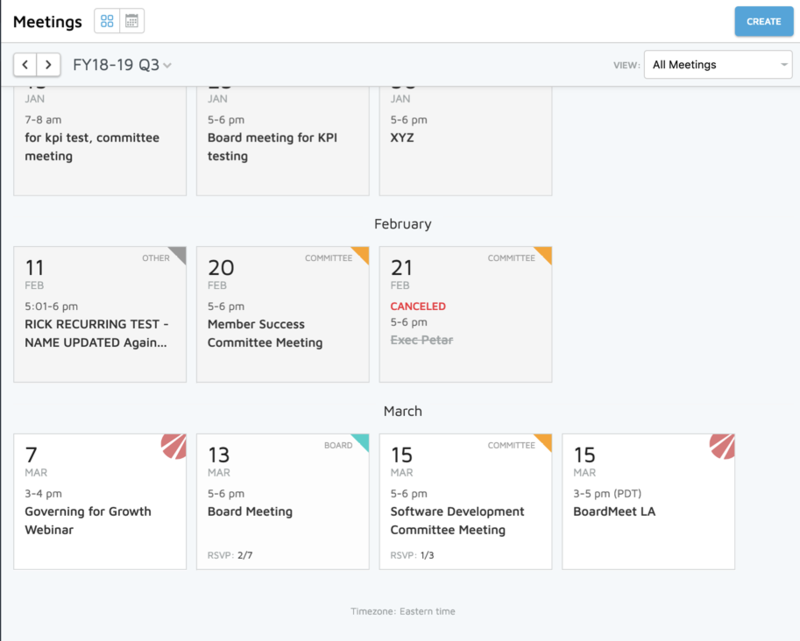 If the user clicks through on a BoardOnTrack Event from the dashboard, or from a card or calendar item in the meetings list, then they are taken to a detail page for the event. 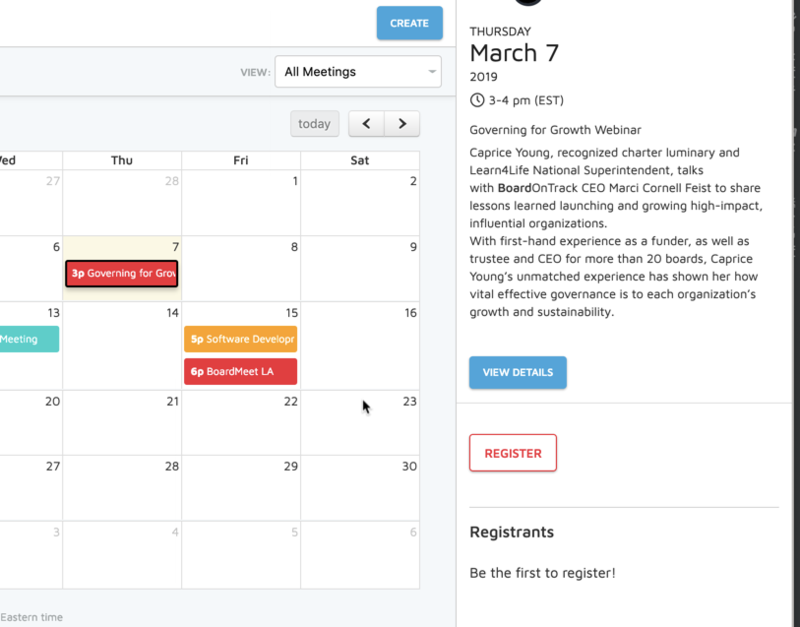 You now you have the option to view the meetings in a calendar view. Seeing your meetings monthly can help you plan ahead and stay on top of your to-do list. Just like in the card view, when an event is selected, the sidebar will fill in with more details. No need to fret about who, what when or where… we have done the hard part for you. 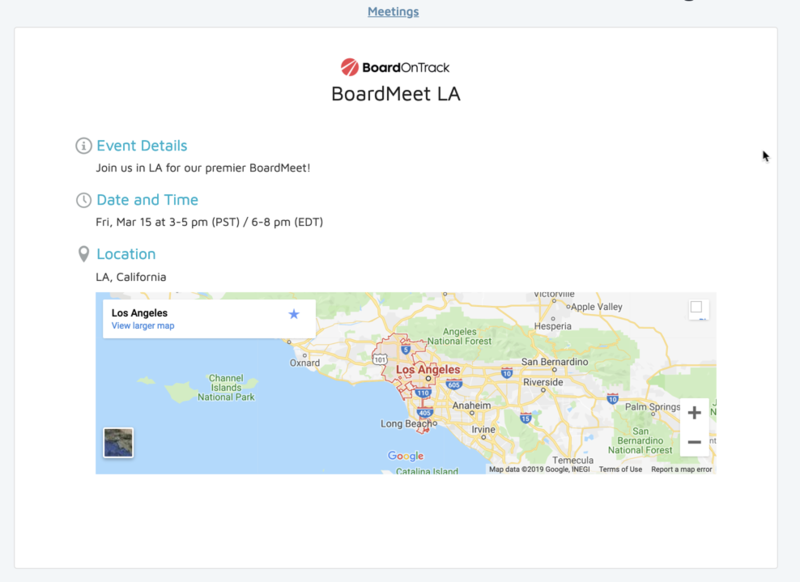 for BoardOnTrack Events, if possible, the sidebar also shows the register button and either the list of those in the board who have registered or who attended. If you’re a BoardOnTrack member, be sure to log in and explore these new features. And we welcome you to share your thoughts by contacting us. If you’d like to learn more about becoming a BoardOnTrack member, set up a time to talk with us. 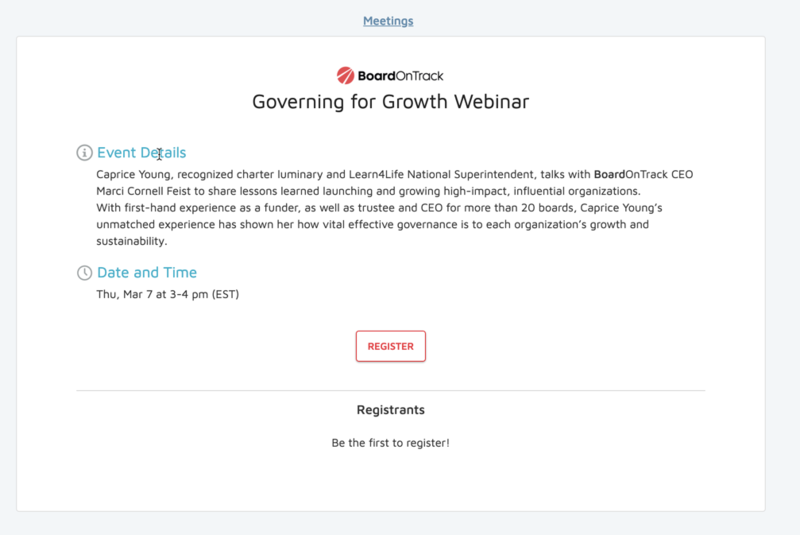 We’d love to learn more about your board and give you a tour of the BoardOnTrack platform — plus all the benefits of membership.